I was tagged by Jaye L. Knight for the Favorite Screen Characters Tag. Narrowing down to 10 Favorite Screen characters is hard! Not to mention, I pretty much wanted to say ditto to every character on Jaye’s list. So here is my list (In no particular order). While Aragorn has a very special place in my heart, I decided to feature Eowyn here since Aragorn was already featured in Jaye’s post. 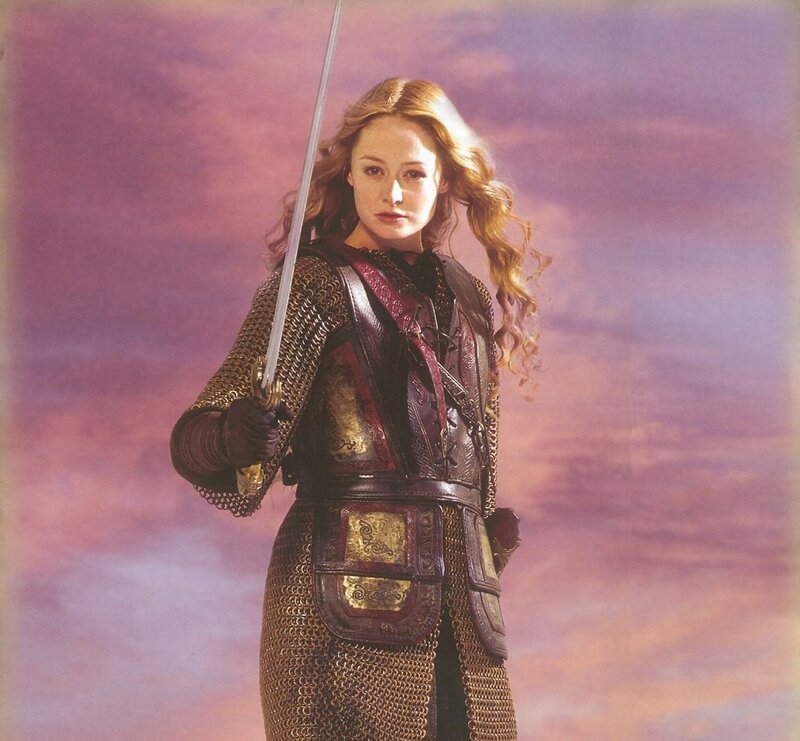 Eowyn is a horse-riding, sword-fighting maid of Rohan, and what’s not to like about that? Plus, her hair! Seriously, I want her no-frizz product. Somehow she goes through a full-tilt gallop, falling off her horse, and fighting the Witch King and somehow her curls remain in beautiful waves. I step out in the rain for two seconds and my hair starts to look like I touched an electric fence. But what really clinched her as one of my all time favorite screen characters was the scene in the extended edition where Eowyn attempts to make soup (if you haven’t seen the extended editions, the extended edition of The Two Towers is worth watching just for that moment!) I’m an awful cook myself, so I can totally relate to this moment in the movie! The sequence below doesn’t capture the look on Aragorn’s face when he tries to swallow a mouthful. Before Pirates of the Caribbean and Once Upon a Time‘s Captain Hook, Westley/the Dread Pirate Roberts is to blame for my crush on pirates. After all, he’s like pirate meets Zorro. Totally awesome! Plus the whole not-staying-dead-thing? Yep, he’s my first love when it comes to on screen pirates. While we’re talking pirates, I couldn’t help but include Killian Jones/Captain Hook on this list. That grin! And those intense eyes! Argh! There are times I just want to slap Emma and tell her to get with it girl and not let a guy like Killian get away. Just to make sure you guys weren’t getting too worried with my obsession with pirates and bad boys, here’s a really good guy to make the list. I might be in the minority, but Captain America has been my favorite Avenger since the first film with him. He’s just such a nice, old-fashioned, principled guy. His principles are tested, and his struggle is in trying to live out his principles in a complicated world. His personality actually reminds me a lot of Shadrach Alistair in my recent release Dare. I’d like to include a villain on this list. The White Witch in the old BBC version of The Lion, the Witch, and the Wardrobe is the ultimate villain. The White Witch in the new Disney version can’t come close to capturing the truly scary White Witch that the old BBC version had. No one does a witch the way Barbara Kellerman did in that movie! Because, well, she has a horse, she can out-shoot just about everybody, and that hair! Rocking those curls! Plus I love the mother-daughter story line. Both the mother AND the daughter have to change, which shows the complicated relationship that a lot of mothers and daughters have. On top of that, she’s a princess and she ends the movie single, which (being single myself) I can appreciate. I love The Sound of Music! It is based on a true story, though the movie does change a few of the details. I actually did read the book that the real Maria Von Trapp wrote because I loved the movie so much. Another childhood favorite. Since I knew I wanted to be a writer, I always connected with Anne. And her mishaps! As I grew older, I began to appreciate the love story part with her and Gilbert. So adorable! I heard people are talking about doing a remake, but I fear Megan Follows will always be Anne to me! Okay, I’m cheating. 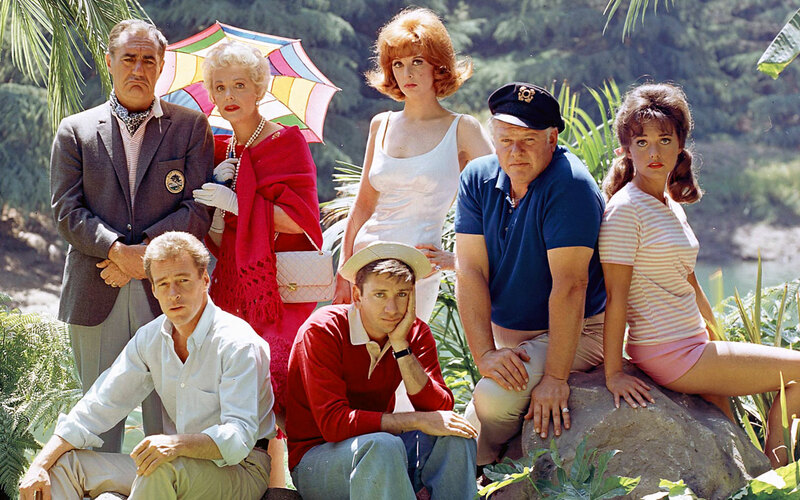 I’m picking the entire cast of the old TV show Gilligan’s Island. My family watches of a lot of the old TV shows, and Gilligan’s Island was always a favorite. Yes, it’s a little corny and you have to suspend disbelief. But the jokes are actually funny, not just body jokes masquerading as humor. It’s a show where very different characters always came together in the end. They always stuck together as a family in spite of their differences (and whatever problem Gilligan caused to keep them still stuck on the island). So there’s my list of ten of my favorite on screen characters. I could keep going, but I’ll have to cut it off at 10 otherwise this could get to be a really long blog post. I think this is the point where I’m supposed to tag ten more bloggers. Looking through the list of people that have already been tagged for this post, it looks like the bloggers I know who’d want to be tagged have already been tagged…so I’m going have to pass on tagging more people. What about you? Who would your Favorite Screen Characters be? 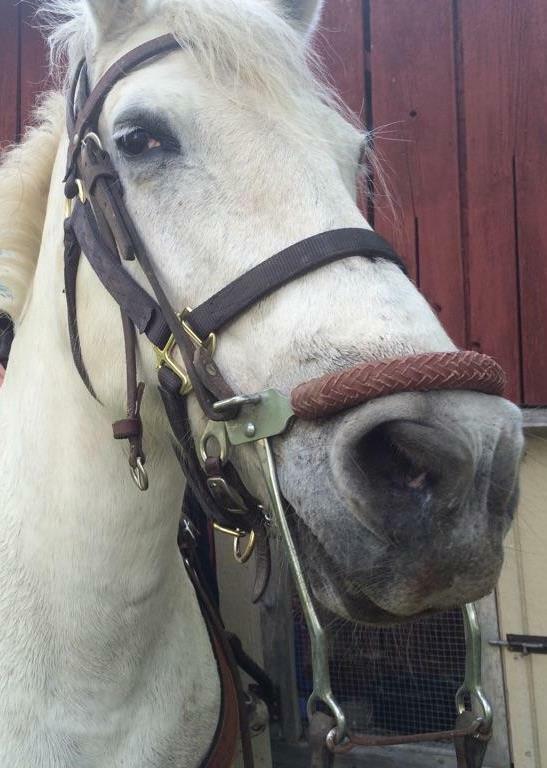 Oh my goodness, your horse! He looks like quite the character. 🙂 What breed is he, and what type of riding do you do? I’ve dabbled in quite a few different things, but I currently just trail ride when I get the chance (my horse lives with my parents 3 1/2 hours away…). What kind of horse do you have? Eowyn is one of my favorites, too! I’d have to add Princess Leia and Han Solo to my list. As well as Rocket the Raccoon and Groot from Guardians of the Galaxy. I have been extremely impressed with Marvel’s ability to cast roles such that you cannot disassociate the role from the actor: But the one that started it all was Iron Man, and I’ve been surprised at how much I love that character. There is also the cast of Firefly–I can’t really pick one character because the whole crew is amazing in one way or another and every time I try to pick one it turns into a list of them all. And while I’m on TV shows, Fiona Glennanne from Burn Notice is one of my most beloved heroines. Horsebackriding is pretty much one of the best things in the universe. Can’t live without it. Oooh, Princess Leia and Han Solo are also good ones! And Marvel characters! I could have easily picked 10 favorites just from the Marvel universe! Wow, there’s so many to choose from! I guess I’ll just list a few (in random order) because I could go on all day. Elsa (Frozen) We totally bonded the first time I saw Frozen. I just love her character. Scarlet Witch (Avengers: Age of Ultron) Her powers are seriously awesome, and I love her character. Captain America (Captain America: The First Avenger, ect) Basically for all the reason you mentioned. I mean, who doesn’t like him? Megara (Disney’s Hercules) I saw this movie for the first time recently, and she is hilarious. Complex too. I really like her. I nearly picked Elsa, but I decided on Merida instead so I didn’t have too many Disney characters. And I allowed myself to only pick one from Lord of the Rings. I could have picked 10 screen characters just from Disney or just for Lord of the Rings.